A freelance computer technician for over thirteen years, Brian possesses extensive knowledge and experience in a variety of Information Technology (IT) fields ranging from computer repairs to software and website development. He's also a very nice guy who will answer all your questions with a smile. Located on Long Island in New York State, he specializes in a variety of home and small business technology services. Need a new website? Already have one but want to make it better, stronger, faster? Let a professional handle it. Diagnose & fix malfunctions & recover lost data. Sanitize malware & prevent reinfections. Speed up slow devices & resolve crashes. Learn tech topics of your choice at your own pace. Buy a computer custom-designed to your precise needs. 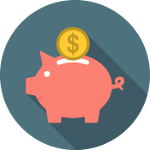 Get a professional-looking website for your business. 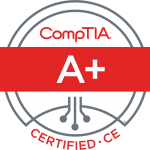 Brian's a CompTIA A+ Certified IT professional. Meaning he's passed this professional IT industry trade association's A+ exams, validating his skills in computer hardware, mobile devices, networks, peripherals and security on all popular platforms. 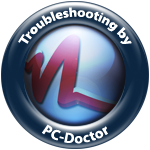 Brian uses PC-Doctor's Service Center for hardware diagnostics. Used by the world's top original equipment manufacturers, it increases diagnostic accuracy and lets him troubleshoot problems more quickly & effectively. Whether you have a Mac or a Windows PC, an iPhone, a Samsung phone, or any other Android-based phone, or an iPad, other tablet, or... pretty much anything else, Brian can help you with your computer or mobile device. Brian charges $40 an hour for most services, plus a travel fee based on your location. This is less than most other computer repair centers, which often charge upwards of $50 to over $100 an hour! Even Brian's website rates are very reasonable by comparison. Let Brian help you relax!